 Azure’s pinole is made of heritage blue corn. This corn is grown by indigenous farmers who use traditional intercropping techniques known as milpa farming. They plant squash, beans and corn on the same plot of land: three crops that grow in symbiosis. This means that our farmers don’t use any GMOs, any artificial pesticides, herbicides or fertilisers! Milpa farming requires an in-depth knowledge of your land, seeds, the weather and various techniques. This wealth of knowledge is passed on from generation to generation, conserving cultural heritage of indigenous communities alongside their heritage seeds. These farmers are the safeguards of an incredible agro-biodiversity, growing red, white, purple, blue and even rainbow corn! This biodiversity is essential to preserve as we face climate change. No one knows this yet but blue corn is a Mexican superfood! powerful antioxidants that help fight against Alzheimer’s disease and Parkinson’s disease. low GI (glycaemic index): anthocyanins enhance glucose metabolism (and reduces glucose absorption), helping to control diabetes. fight cancer: anthocyanins metabolise carcinogens. 30% more protein than your average hybrid corn. In other words, our blue corn benefits the land it is grown on, animals and plants on that land, and people who grow it and those who eat it. What more could you want?